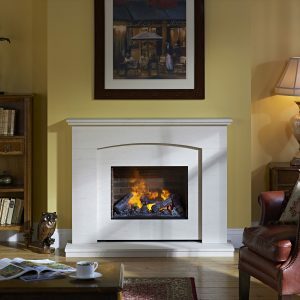 A 54″ Agean limestone mantel with a simple classic design, available with optional stainless steel or copper slips. 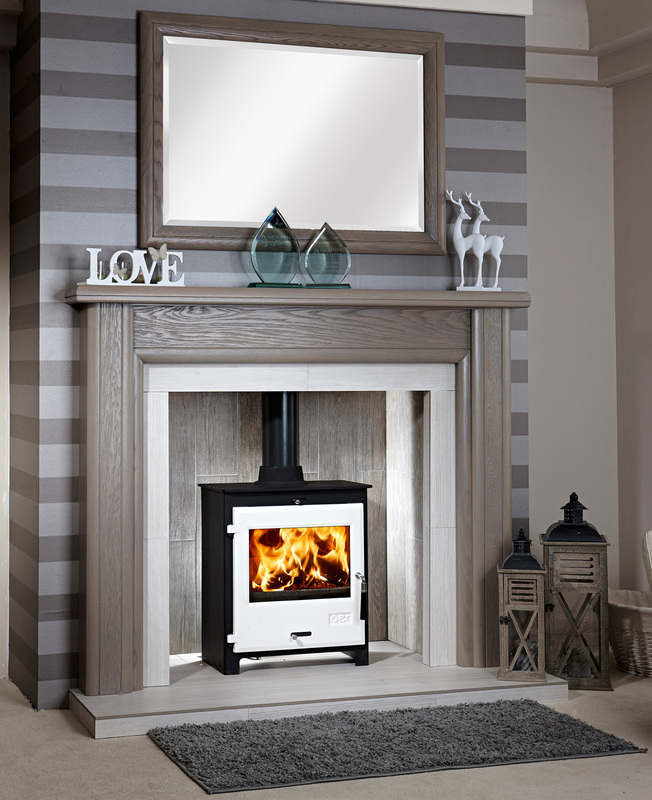 This mantel is on display in our showroom. 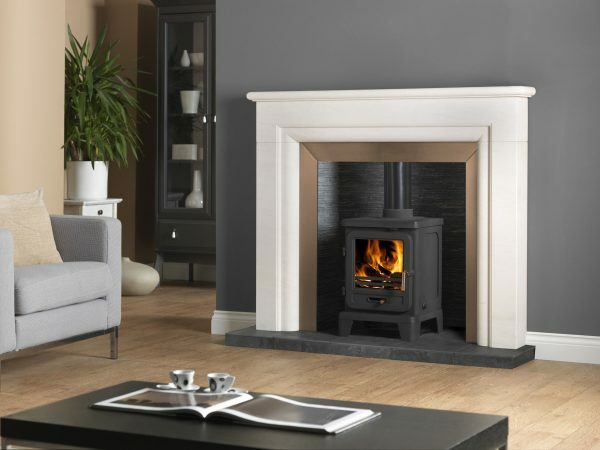 A stylish fireplace suite with a grey wash oak mantel. 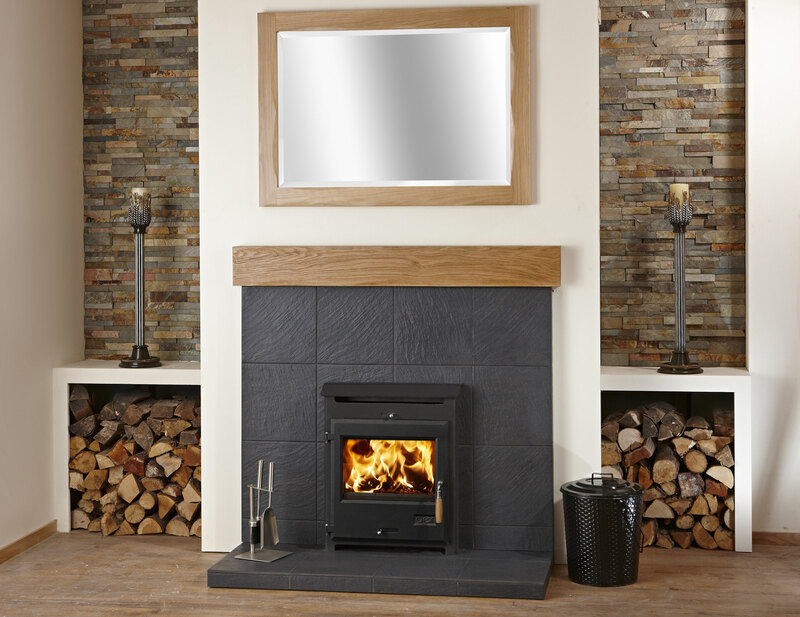 This complete fireplace suite includes chamber, inner and outer hearths and slips. It is also available with the optional Ash stove. 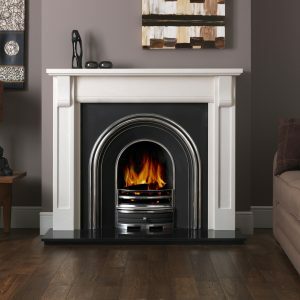 This fireplace is on display in our showroom. 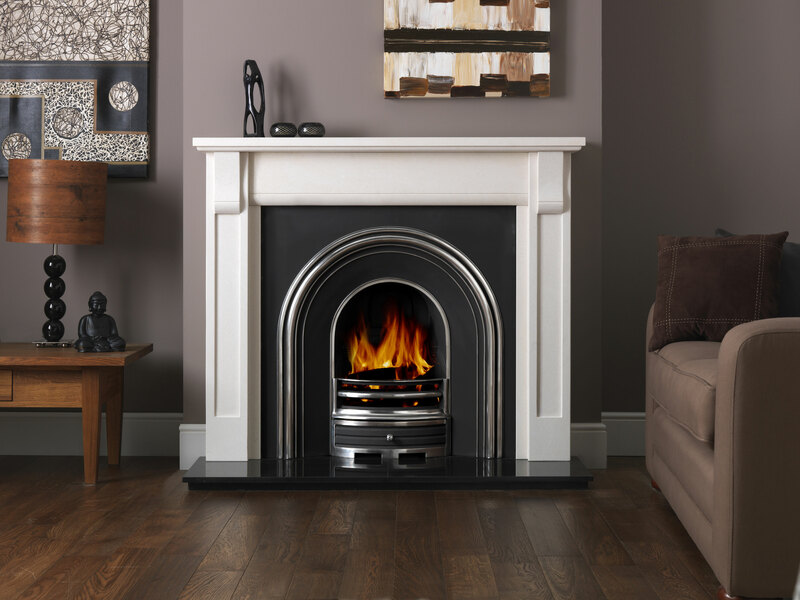 The strong, bold lines and the beautifully balanced proportions of the Verona are softened by the introduction of subtle curves in just the right places. 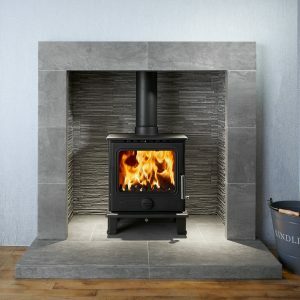 Truly an aesthetic that works well in traditional and contemporary settings alike. 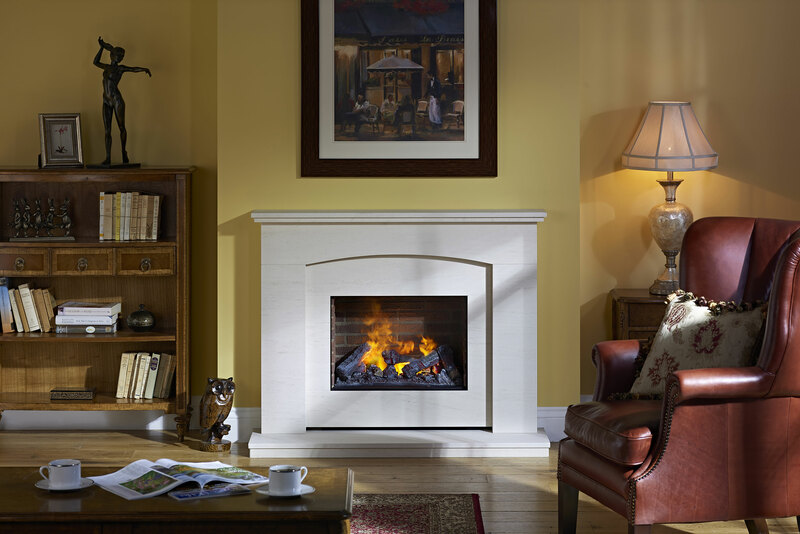 The Indulgence Antigua is a complete electric fireplace suite with the unique Dimplex Optimyst flame effect. It is available as either an inset or outset model so can be installed in any room whether or not there is an existing fireplace and chimney. 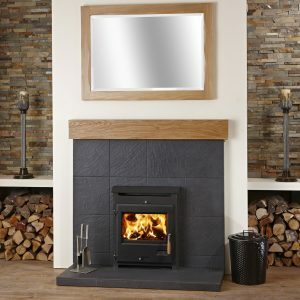 A tiled slate fireplace with wooden beam, ideal for gas or electric fires as well as open fires or inset stoves. 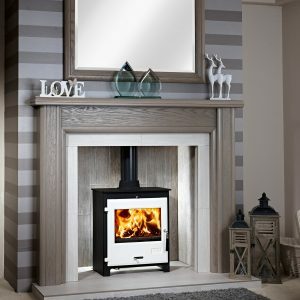 © Copyright 2017 - Northern Fire & Stoves. Company Number SC307267. All Rights Reserved. Built by D.C. Thomson & Co. Ltd.